If you’re currently looking for the best rubber balcony tiles, then you’ve struck gold with the Castleflex Rubber Promenade Tiles by Castle Composites. These premium tiles are sized at 500 x 500 x 30 mm. All Castleflex Rubber Promenade Tiles by Castle Composites are supplied with interlocking pins for laying. 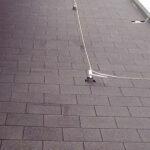 When these tiles are laid in a brick bond formation with the interlocking pins, they will form a large mat. This saves you time during the installation process because it means that they only need to be adhered to the surface around the edges. Because of the innovative design of the Castleflex Rubber Promenade Tiles by Castle Composites, the installation process reduces the necessary adhesive requirements you would get with other traditional products. However, you will still be easily able to inspect the surface underneath if required. On top of their popularity as rubber balcony tiles, the Castleflex Rubber Promenade Tiles by Castle Composites are also an excellent choice on flat roofs, walkways, and a variety of other applications due to the number of attractive colours they’re available in. You can choose between Carbon Black, Rustic Red, Forest Green, Charcoal Grey, Golden Brown, and Chocolate Brown.